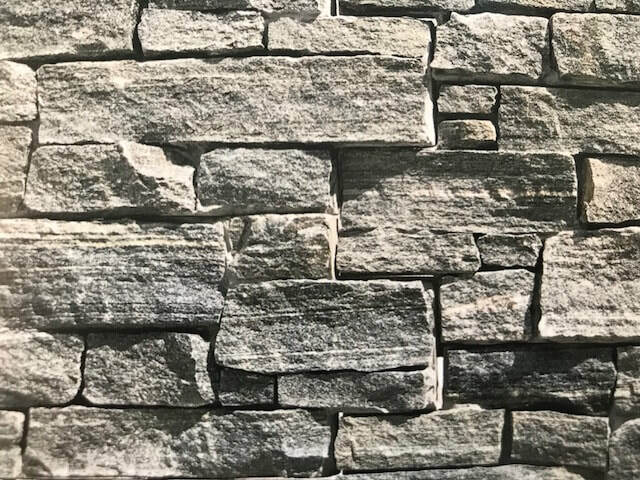 Conklin Limestone offers a great selection of both cultured and real stone veneer. Veener is a thin product that is used in a vertical application. It is used to cover up unsightly brick, or new construction over a cement wall. 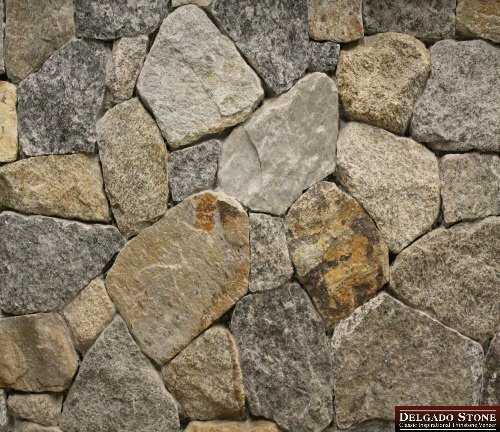 Real stone veneer is available in both individual units as well as 1 square foot panels. Cultured stone comes in handy packaging of 10-13 square foot per box. Natural Thin Veneer is packaged as individual stones in convenient handy packages or pallet crates. Our stocked veneer is sold per layer. Outside corners are available in 8 linear foot box or 50 linear foot crates. 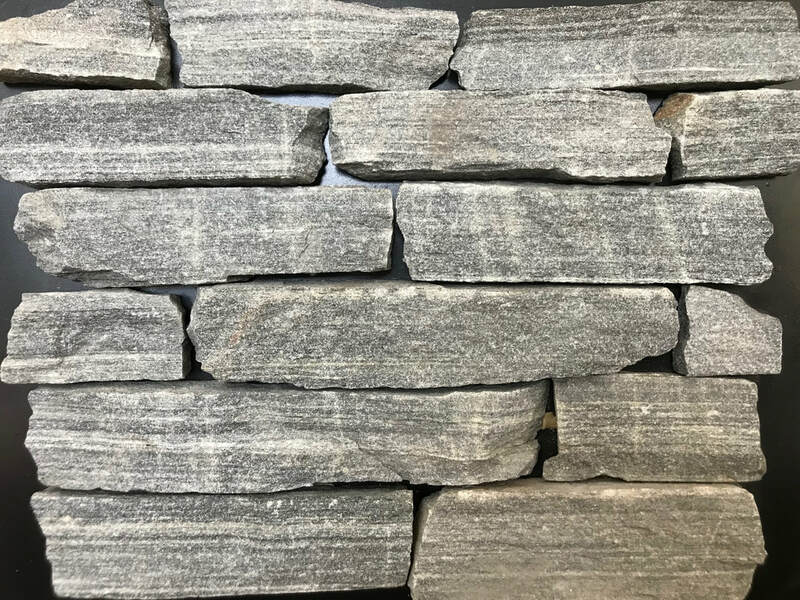 Crafted in Vermont with a nominal thickness of 1 1/4" Vermont Thinstone offers a wide selections of natural stone in various shapes and colors. East West Real Stone Veneer Panels are 1 square foot. They are bundled in 4 sq ft bundles but are sold per piece. 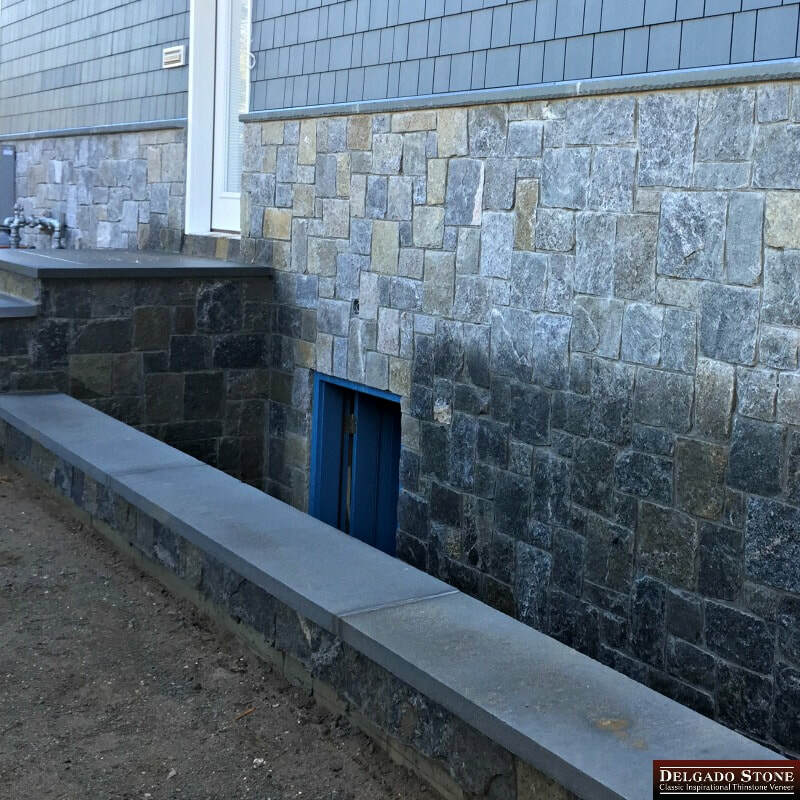 Outside corner panels are available in the Natural Ledge and Classic Ledge styles. Refresh your fireplace in 2013. Often fireplaces are a focal feature of the room. Whether it be in the bedroom, living room or even an outdoor fireplace. Remodeling the fireplace is a great winter project that usually will take a weekend to do. We can also help you refresh your mantel or hearth with a new piece of natural stone. Conklin Limestone carries both Boulder Creek and Canyon Ledge cultured stone. All the cultured stone is suitable for interior or exterior projects. It is packaged in boxes of approximately 10 square feet or pallets of 100 square feet for your project big or small.